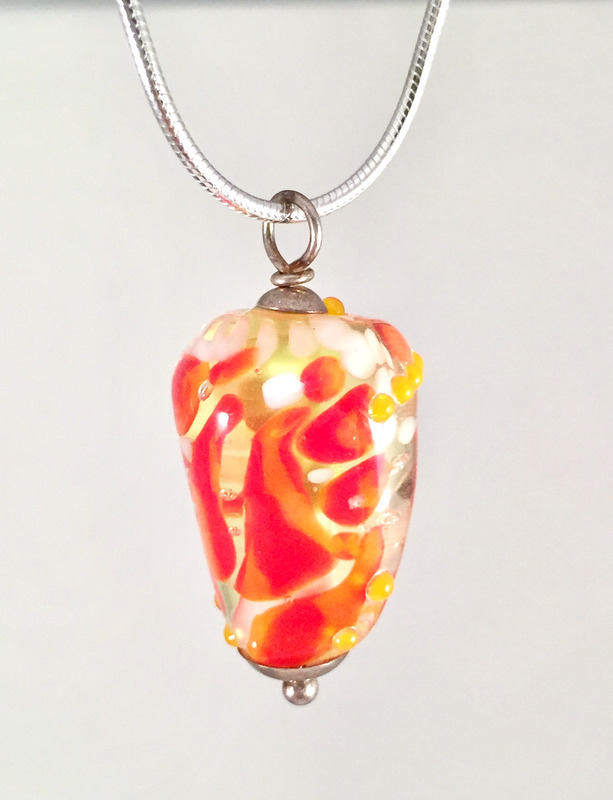 Flamework glass bead chrysalis. 1". Sterling silver. 16" or 18" snake chain.